A fruity and soft bottling from this seldom seen distillery. 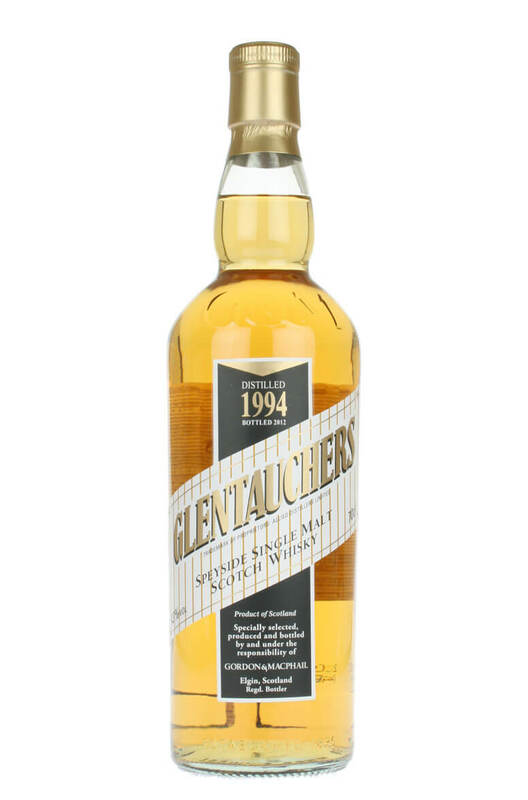 Glentauchers is one of the main malts used in the Black and White blend. This bottling has been matured in Sherry casks and remade Bourbon casks. Nose Sweet citrus, orange, mandarin, pineapple and delicately malty aromas. Palate Light and soft with flavours of pineapple chunks, boiled sweets, and malted milk biscuits. The 2001 bottling from Gordon and MacPhail is a light and delicate malt that has been matured in ..
A fine after dinner drink, this is a well balanced malt which has been entirely matured in refill sh..